Tottenham Hotspur midfielder Christian Eriksen has penned a new long term deal at White Hart Lane, as per SkySports. 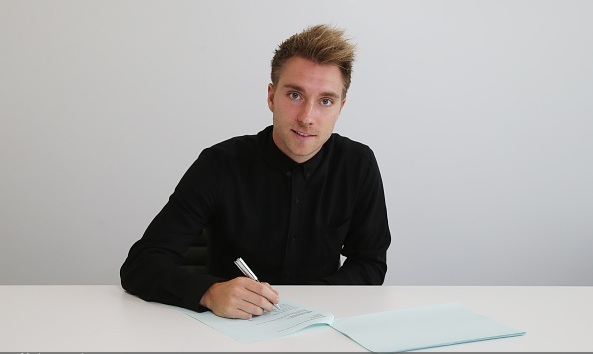 Eriksen has successfully signed a new four year improved deal at the London club, according to official club reports. The Danish playmaker was linked with a move away from the Premier League. He denied to sign the contract extension few months ago. The 24-year-old has reportedly signed a deal worth £70,000 per week, double than that of his last contract. He is also now become of the top earners at the club. The reports claimed that Eriksen wanted £150,000 a week but his agent Martin Schoots has clearly said that those reports are rubbish. Further, Schoots cleared by saying that money was not the problem, else why would he has joined Spurs over some richest clubs. Eriksen was signed from Ajax for £12.5million in 2013. He has netted 32 goals in 134 games for the club. While, Erik Lamela is also set to be offered a new deal in the next few months, according to reports. Captain Hugo Lloris and center-back Jan Vertonghen are also expected to seal the new long term deal. These three stars have two-three years left on their current contract.